Visual artist Luthfi Mustafah is a Singapore-based street artist. Inspired by his pet gerbils, Mustafah has been creating his infamous Killer Gerbil character since 2003. 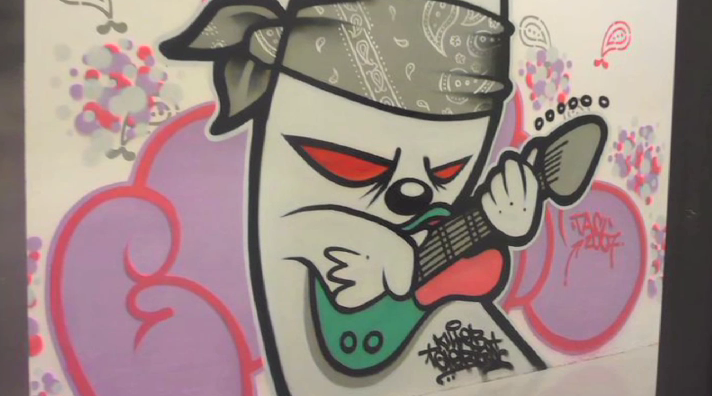 The character acts as an alter ego for the artist, who views himself as a street rat on a mission to uplift and beautify empty spaces with colors and forms. In 2005 Mustafah was named the 2005 Motorola Streetstyle Street’s Choice Award Winner.